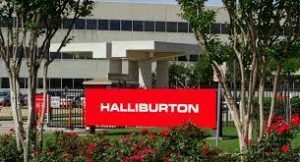 While income was up for Halliburton in the fourth quarter of 2018, its total revenue was down from the third quarter of the year. And the revenues reflected a soft quarter for operations in the U.S. and Canada. The company, which has major operations in Duncan and across Oklahoma announced total revenue was $5.9 billion, or a drop of 4 percent from the $6.2 billion in the third quarter of 2018. Total revenue for the full year of 2018 was $24.0 billion, an increase of $3.4 billion, or 16%, from 2017. Chairman, President and CEO Jeff Miller said the demand for completion services dropped in North America in the fourth quarter and it was expected. “I am pleased with our overall financial results for the year and for the fourth quarter. Our team optimized our performance in North America as the market softened, and the recovery of our international business continued,” commented Jeff Miller, Chairman, President and CEO. Miller said the international business is showing signs of a steady recovering with revenue increase 7% sequentially. “As North American oil production reaches historic highs, operators focus on returns over growth, and the international recovery continues, Halliburton is well prepared to thrive. We intend to dynamically respond to the changing market environment, reduce capital spending, develop differentiating technologies, and generate strong cash flow. 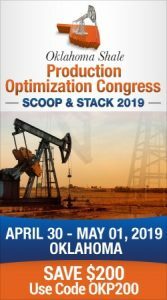 Completion and Production revenue in the fourth quarter of 2018 was $3.8 billion, a decrease of $338 million, or 8%, when compared to the third quarter of 2018, while operating income was $496 million, a sequential decrease of $117 million, or 19%. These declines were primarily driven by lower activity and pricing for stimulation services in North America, partially offset by stimulation activity increases in Argentina and year-end completion tool sales internationally.